If You thought the classic game couldn’t get worse you were so, so wrong. Truth, Dare, Torture preys upon all your weaknesses: forcing you into more embarrassing dares than usual – kind of like double dares. The Torture aspect will vary depending on how nice the people are that you’re playing with, but they might include a form of ‘physical torture’ (read: not painful!) like being tickled by the group, or ‘truth torture’, having to answer a truth from every single player. I’m not sure which one I would prefer! This version combines both Truth or Dare with the equally horribly embarrassing I Have Never game. Both crowd favourites, it’s impossible that this variation on the game won’t have your friends squirming and cringing. Everyone needs to be sitting on a chair in a circular formation. One person stands in the centre of the circle and asks questions. The premise is that the person in the middle will be asking the group ‘Truth’ questions along the lines of: “If you’ve ever…move one chair to the right”, so for example, “If you’ve ever used a fake ID, move one chair to the right and if you got caught move two chairs to the left!” As you can imagine, not everyone will move for every question – so the game ends up looking somewhat like Musical Chairs too! The object of the game is to be the first one to make it around the circle and end up back at your original chair, that’s if you don’t end up pinned underneath someone else! 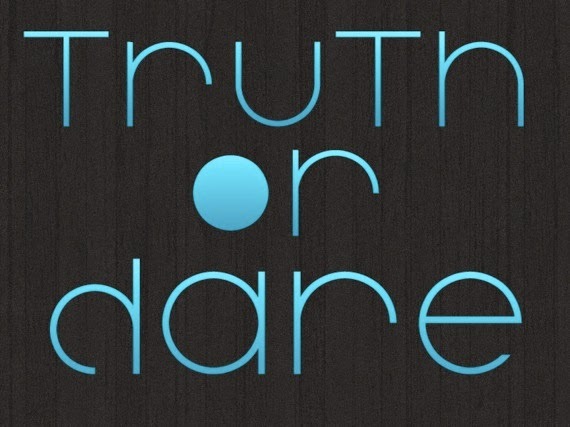 If you need some ideas for "Truth" questions to ask, check out this list of Best Truth or Dare Questions to Ask, or 50 Questions Guaranteed to Be Awkward & Embarrassing. Another great excuse to be particularly silly or sadistic, these variations on the classic Truth or Dare will make for a very interesting game indeed! Double Dare – Along the same lines as ‘torture’ mentioned above, the double-dare is a more complex, more embarrassing kind of dare. It could also be played where both the darer and the dare-receiver have to both partake. Repeat – The person given the dare must then repeat that dare within an agreed upon length of time. Promise – Similar to the repeat, but the dare doesn’t need to be done during the physical playing of the game: this one is good if the person doing the dare doesn’t have the means to right there and then. Hot Chilli Peppers – You can only imagine how potentially gross this could get, but for those who choose it, the Hot Chilli option asks the person doing the dare to make out with someone/something in the vicinity. Liquorice – Similarly gross, if someone picks liquorice they are to lick an object of the askers choice. Electric Chair – If you’re a sucker for punishment then this one will suit you just fine – the electric chair option gives you three straight consecutive dares. Now you may be wondering why anybody would pick any of the slightly weirder options – in some variations of the game, you don’t have a choice! Played with a die, the dares are number (in the given order) from one to six. As each player takes turns to roll the die their dare is chosen for them! The person seated to the left of the player then gets to decide, for example, whether they have to lick the chair leg or the windowsill. Truth or Dare is a great game for an (older) birthday party, and there are even Truth-or-Dare themed birthday gift ideas. Spencer’s 21 Dares t-shirt lets you both play the game and be the game, coming with its own pen to tick off each dare as you go. If you’re stuck for birthday gift ideas, or birthday party games, remember the ol’ classic that is Truth or Dare – you’ll never think of it the same after these variations!